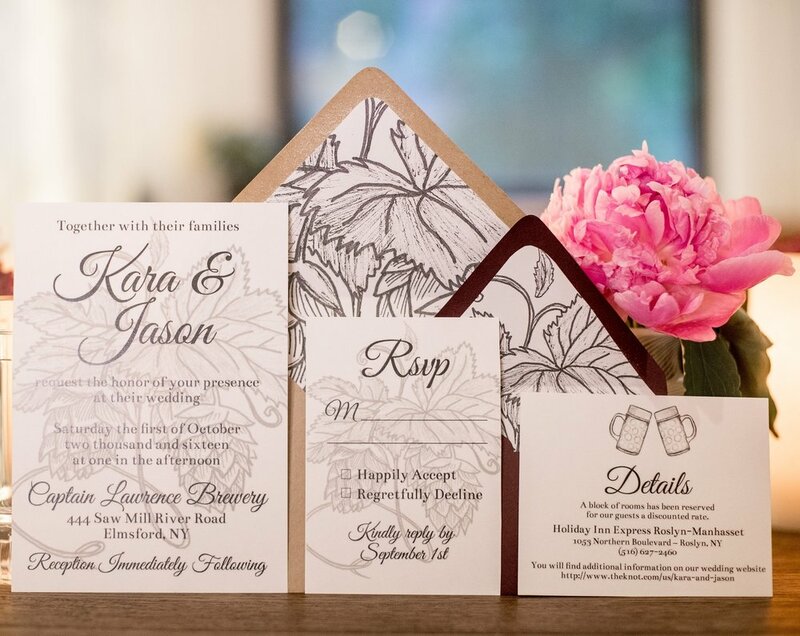 We believe that your wedding stationery is important and makes a statement to your guests, draws them into the excitement of your day, and shares pieces of your love story. We believe that beautiful, quality wedding stationery should be available to every bride, no matter her budget. We offer our stationery at three price points and all can be purchased at our online Etsy store. A number of our hand drawn and watercolor pieces are available as digital downloads. Our digital download Save the Dates are $30 and include 1 piece: your Save the Date card. Our digital download Invitation Suites are $60 and include 3 pieces: your Invitation card, RSVP card, and Details card. You fill out our google form with the exact wording and font choice you would like and we send you the pieces as PDFs with printing instructions. Every season we add a few new collections to our repertoire. These hand drawn and watercolor collections are available to purchase with customizable text and font choice. Our Save the Dates start at $3 for the Save the Date Card or $6 for the Save the Date card and a lined envelope. Our Invitation Suites start at $7 which includes 3 pieces: Your Invitation card, RSVP card, and Details card or $12 which includes your 3 pieces plus 2 corresponding lined envelopes for your Invitation card and RSVP card. We love being inspired by your love stories and creating custom designs based on exactly what you are dreaming of. Our Invitation Suite Custom Design Fee is $500 and includes an initial project design call, initial proofs, and up to 2 rounds of edits. Pricing for printing your pieces is the same as our current collections pricing. Copyright 2017, Pineapple Street Designs. All rights reserved.